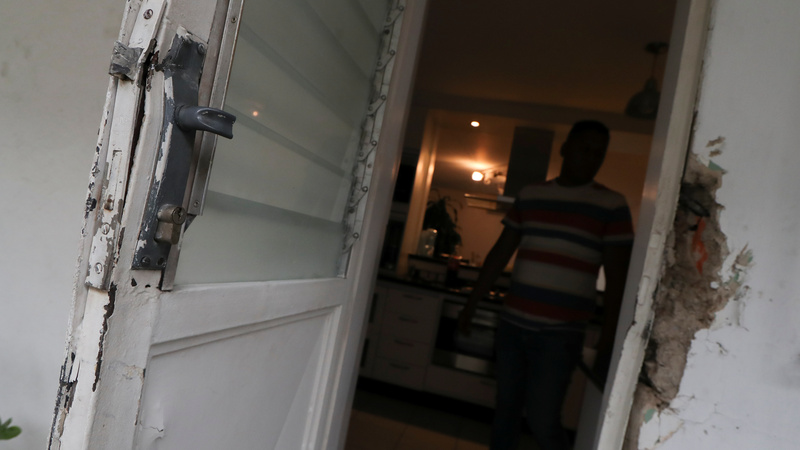 Marrero lives in Caracas, near lawmaker Sergio Vergara — who said his residence was also searched by agents of what he called the "usurper regime" of embattled President Nicolás Maduro. "This new outrage gives us the strength to move forward," Vergara said, pledging to continue to push for Maduro's ouster. With Maduro facing massive protests and intense international pressure to step aside, Guaidó has been recognized by the United States and dozens of other nations as Venezuela's legitimate president. He returned to the country on March 4, with the U.S. warning Maduro's government not to take action against him. Despite those developments — and crippling economic sanctions, hyperinflation and massive blackouts — Maduro remains in power. "When Guaidó first launched his campaign to oust Maduro, many of his supporters thought victory would come quickly," NPR's Philip Reeves reported Wednesday. "Now, they're getting worried." The arrest of Guaidó's chief of staff comes nearly one month after the opposition leader and president of Venezuela's Parliament met with Vice President Pence in Colombia. Pence and Guaidó called for Venezuela's military to stop supporting Maduro and accept an offer of amnesty. But so far, only about 1,000 soldiers and national police members have said they will back Guaidó, as John Otis reported for NPR on Thursday morning.